The Art of Solo: A Star Wars Story reveals, for the first time, the design evolution of each new fantastical set, otherworldly machine, and unforgettable character in the film. 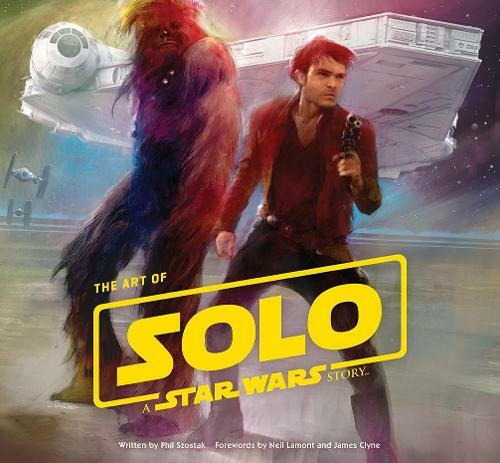 Packed with hundreds of spectacular images, including production paintings, concept art and sketches, storyboards, and matte paintings, The Art of Solo: A Star Wars Story is the definitive guide to the art of the film-and a must-have keepsake for fans. Perfect for your Padawan, there's a universe of Star Wars titles perfect for younger readers, capturing all the drama and excitement but being specially created for younger fans in mind... and don't miss The Star Wars Joke Book which will have them quipping like mini-Han Solos in no time! 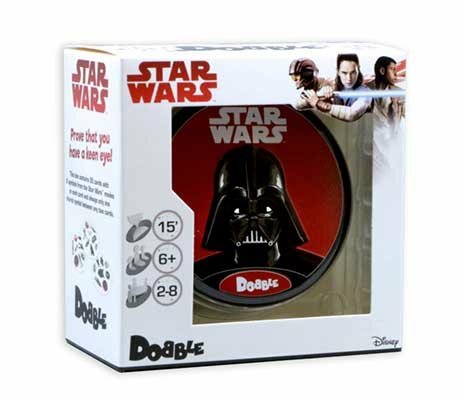 Dobble is a quick-eyed card game where players race to match identical symbols on cards and in this Star Wars special you are matching your favourite Star Wars characters. Reliant on an eye for detail and quick reflexes, Dobble creates excitement for children and adults alike while keeping every player involved in the action. Build Your Own Star Wars Universe, Brick By Brick! All the thrill and detail of Star Wars, by way of the world's most famous building brick. Star Wars Lego® has launched a thousand YouTube videos and driven millions of imaginations to ever-greater heights of plastic creativity. Star Wars revolutionised both the design and business of film. The Art of... series has long stood as the benchmark insight on the saga's art direction, whilst the Making of... titles (to date only covering the original trilogy) provide the ultimate history of every aspect of the series' production. The Empire is crushed… or is it? The Emperor is rumoured dead and the second Death Star has been destroyed, but never underestimate the ancient evil that has dominated an entire galaxy. With The Last Jedi only a Fox Fanfare away, it's time to refamiliarise yourself with the genius that was The Force Awakens. Better than we could have possibly hoped, John Knoll's story for Rogue One brilliantly both set the stage for A New Hope and added an entire dimension around the plot to destroy the Death Star. A raft of publishing followed, including the best selling prelude, Star Wars: Catalyst. From Marvel's initial Star Wars adaptation back in 1977 through to the diverse graphic novel and manga publishing of today, comics have been the backbone of Star Wars storytelling even through the lean years following Return of the Jedi.